The Beaver Colony meets at the Chapter House, Chelmsford on a Wednesday evening. Our meeting runs from 6.30pm to 7.30pm. Beavers should also attend two church parades a year, on Mothering Sunday and the Harvest Festival. They should also attend the parade for St George’s Day. The Beaver promise is designed as an entrance to the Scouting Family. Anyone aged 6 to 8 years of any faith that can make the promise may join the colony. All Beavers will make the promise when they get invested into the colony. Our aim at the 6th Chelmsford is to have fun, make friends and experience a wide range of activities, both in and outdoors. Our weekly Thursday meetings usually follow a theme and include crafts, games, listening to stories, discussion and working towards badges. We aim to cover topics that meet the requirements for the six challenge badges needed for a Beaver to attain their Chief Scout’s Bronze Award by the time they leave to go to Cubs. We also plan a visit to a place of interest or an activity such as tenpin bowling during each term. 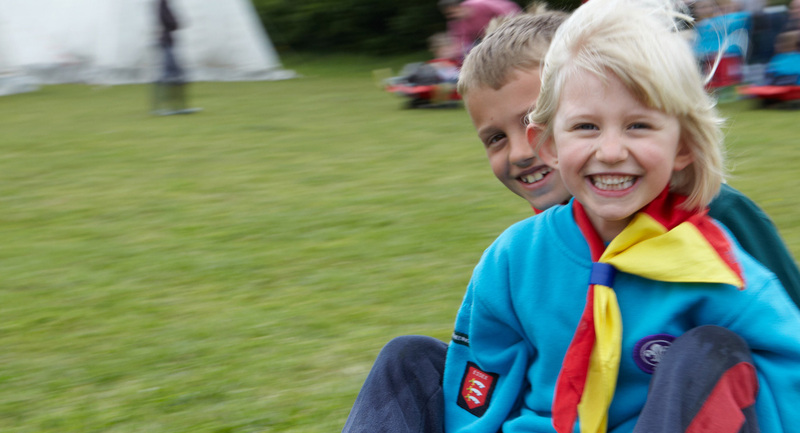 District events are an important part of the Beaver calendar as this enables the children to meet other Beavers from the Chelmsford District. These include an annual craft competition, visits to places further afield, fun days, an occasional sleepover and St Georges Day Parade. So if you think your child may enjoy these activities please contact your Beaver Scout Leader who will put their name on our waiting list.